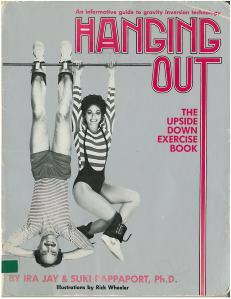 A submitter sent me this book to peruse. 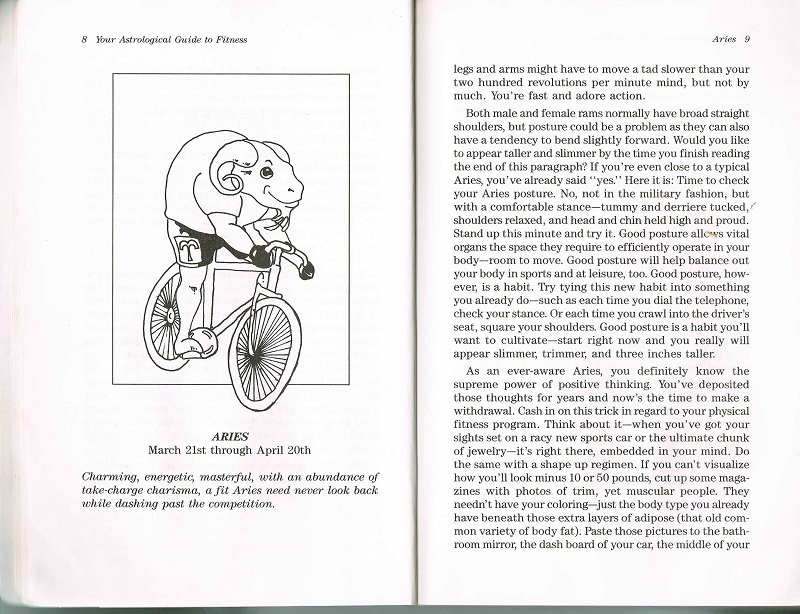 Of course, I went straight to the chapter on Aries to see how Mary and I can improve our fitness routines, both being Aries and all. Say what you want about astrology, but there are definitely people into it and public libraries should have books on the subject. That said, I have two big problems with this book. Number one, the author is described on the back cover as being an “astrology buff.” I’m a gardening buff and a beer buff, but I’m certainly no expert in either subject! 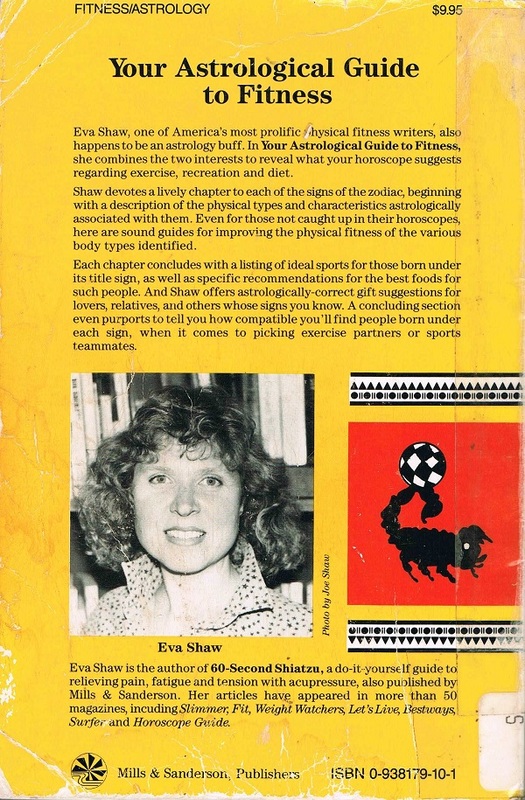 What qualifies Ms. Shaw to write a book on either fitness or astrology? 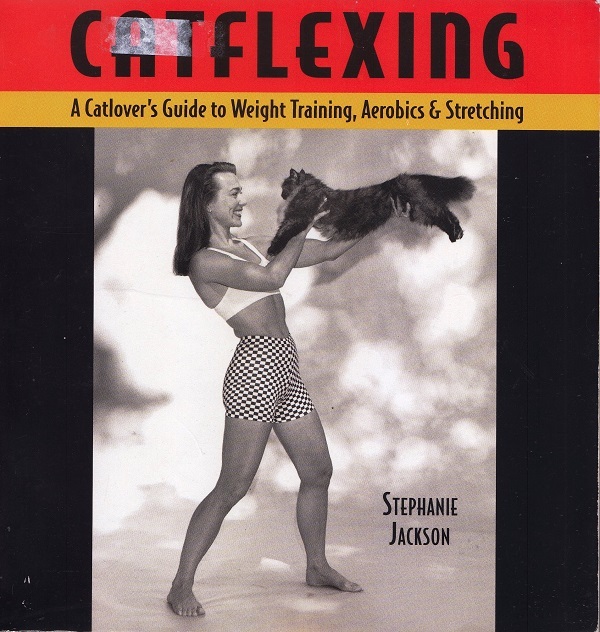 It also says she’s “one of America’s most prolific physical fitness writers,” but anyone can write about anything and be prolific. What are her credentials? I question this book’s authority. I’d like to see some sort of training or certification in one subject or the other. There is apparently an American Federation of Astrologers, and they have a certification exam. Let’s start with that. Secondly, and this might show my complete ignorance of astrology so feel free to correct me (and you will…), but being an Aries can’t possibly imply that I have a certain body type that is conducive to a certain fitness routine, or that my body will respond to specific activities in specific ways. Mary and I couldn’t be more different physically – she’s tall and I’m barely five feet, for starters – and yet we are both Aries so that chapter applies to both of us. I don’t get it. Someone please enlighten me. Calling all Aries to join my new water polo team. I’m a Leo. My exercise regimen consists of laying around, looking snooty and indisposed, licking my tail and back to nap time. Whew-I’m bushed. 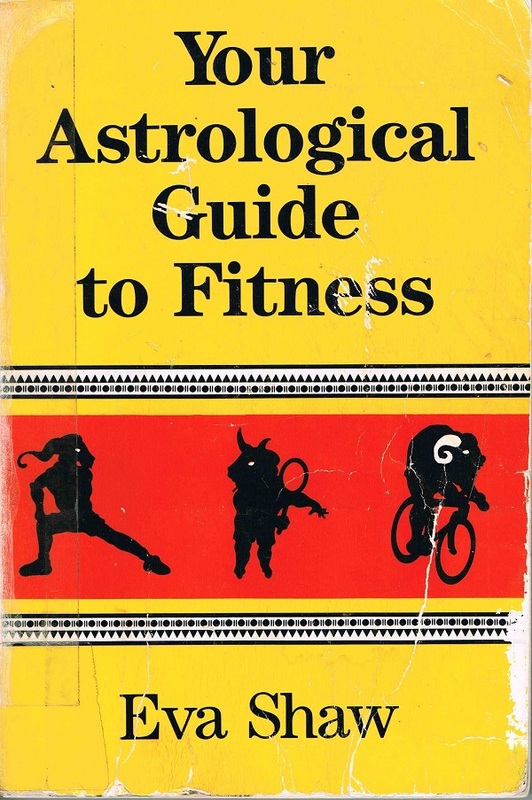 While I wouldn’t expect or require a certification in the nonsense of Astrology – after all, even the “experts” are making it all up as they go – I do agree that some type of fitness/nutrition (or related) certification or expertise should be a given. With that said, I don’t think the intended audience for this type of work would necessarily be that discerning anyway, so maybe it really doesn’t matter. If being an Aries can imply that you’re going to meet a tall dark stranger this week, why shouldn’t it imply you should take up soccer? I don’t see any reason to place constraints on how ludicrous astronomy can be, and neither do many of its proponents as far as I can see. As an Aquarius, I can do whatever exercise I like, so long as I carry plenty of water. As the daughter of an astronomer, I feel compelled to remind everyone that astronomy and astrology are nothing alike. Astronomy is science. Astrology is something else. I’m a Libra. I’d love to know what it says about my sign. Why couldn’t one of you be born in September? (not to mention that you could spend the rest of your life reading the results on Google for “Libras and fitness”). Most astrology books I’ve read say your body type depends a lot on your rising sign, or “ascendant” (which sign was on the eastern horizon when you were born, regardless of where the Sun [your Sun sign] was). So this book’s theory that your body type is ruled by your Sun sign, is useless unless you were born at dawn. Pineapple is a citrus fruit? Gee, I’d love to join your water polo team, but it seems cruel for the horses. Plus there’s that whole I never learned to swim issue. Hmm… I also never learned to ride a bike. These aren’t shaping up to be the most practical suggestions for this Aries. Googled it and the response is – varied. I guess pineapples have citric acids in them, but they’re of a different genus of plants and therefore are not a citrus, yet some insist that cause of the citric acids it is. We need a scientist up in here! STAT! For water polo one uses river horses, and while it’s not cruel for the animals, they sometimes attack the riders with no apparent provocation, and hippos are expensive to feed. Each sign is suppose to be interested in different things. For instance, Virgos like me are suppose to be beach loving, non-fiction reading, health food nuts. Unless I’m going to fish, I want nothing to do with the beach. I prefer fiction but will read true crime and religion books. And forget the organic vegan cardboard bar, give me the chocolate! Hmmm…quick snack of chocolate or straighten the shelves first? Both found along the path to Virgo nirvana! My sign’s Aquarius. I’m like, hey man who’re ya trying to impress with all this do-gooder activity junk? Just sit on your meditation mat, and let yourself go, duuude… be at peace with the univerrrse…ommmmm…. I like how the back cover includes “A concluding section even *purports* to tell you how compatible you’ll find people…” Even the blurb writer, whose job it is to praise the book, can’t manage to say that he or she thinks the concluding section can really tell you that. Ha! You could put the same list of “perfect” foods at the end of each sign’s information and have it be correct. 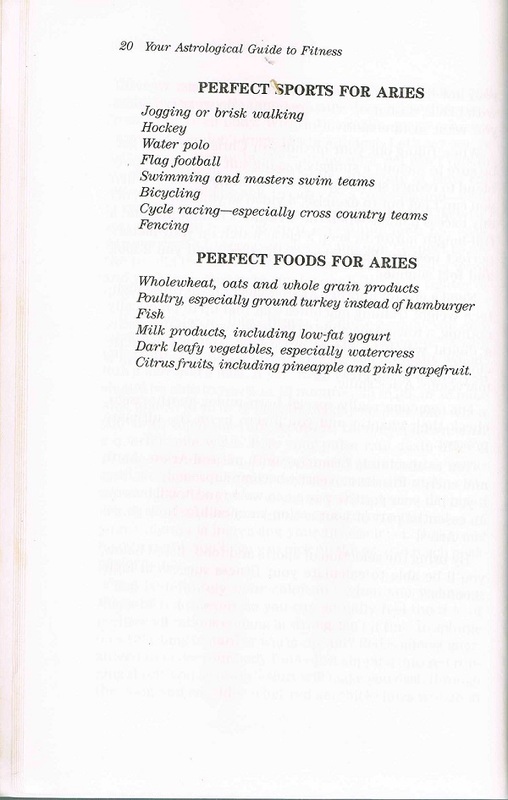 The only thing I see on most diets that is not listed for Aries is beans. Read into that what you will. WHAT ARE THE PERFECT SPORTS FOR SCORPIOS? I NEED TO KNOW! My bf and I are both Virgos. While we like some of the same things we differ in a lot of places. He’s more of a neat freak than I am. Unless it’s work related he’s not very active. Where I like to walk. I’ve been known to walk 14 miles in a day. I take more risks then he does and it drives him nuts. I LOVE the cover images. If anybody out there weeds this, I want it for artistic purposes. Oh, please show me Libra! I bet lounging, relaxing, and gentle stretching are called for. That’s Dr. Shaw, if you please. 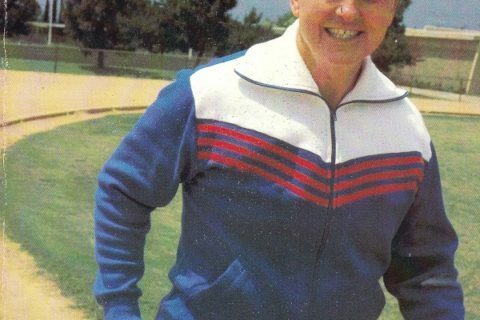 Eva Shaw, PhD, still seems to be going strong as a prolific writer on many subjects (over 70 publications! ), but her main gig is now the writing process itself. She offers profession ghostwriting services and speaks at writers conferences. Good on her.